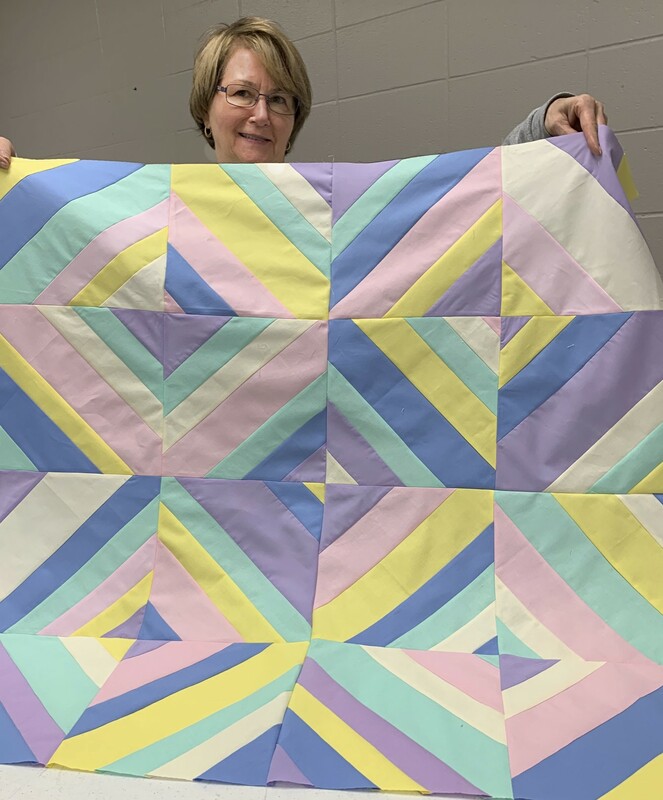 Debbie and the Cuddle Care Committee were their very organized selves, as usual, and had prepared a table full of pastel strips and paper squares for making a variation on string blocks. We sewed the strips diagonally onto the paper, then passed them to others who would the press and trim them. (Sewing the fabric onto the paper reduces the stretch of the bias edges and enables the blocks to all be uniform. The paper is removed before it is quilted.) With different people sharing different tasks, the blocks were complete much more quickly. 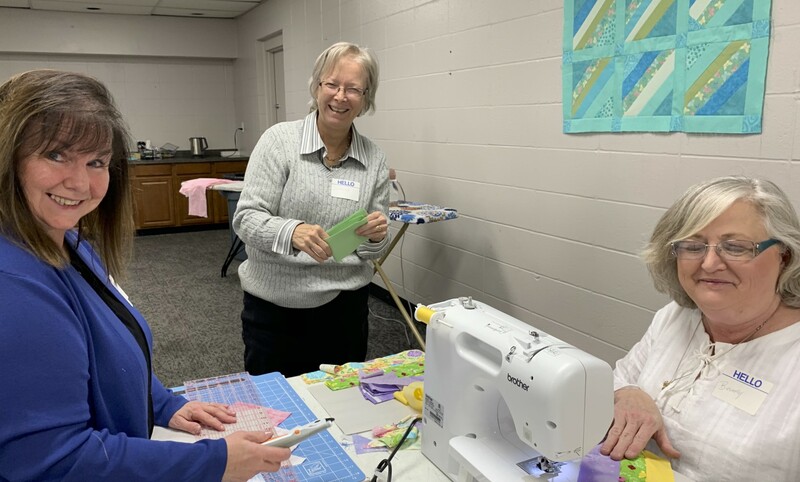 Sewing and working together is such fun! 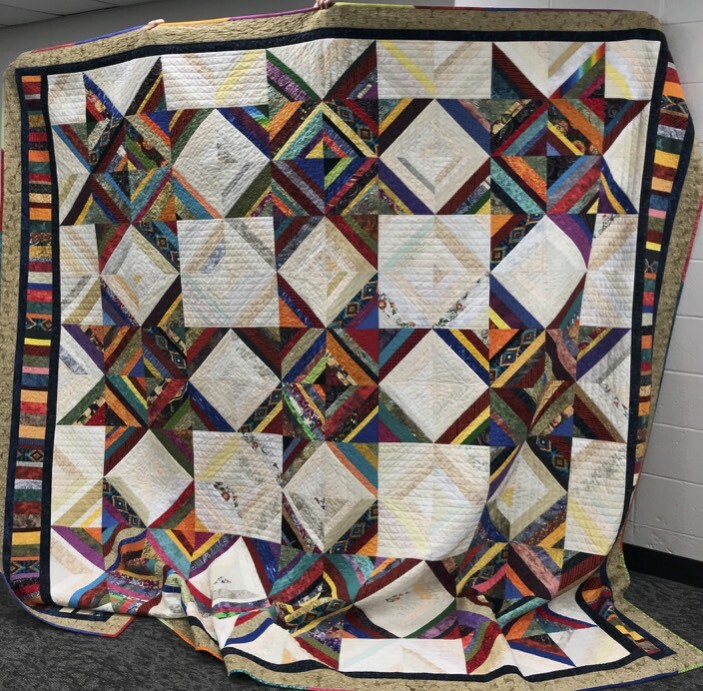 And the bonus is that the quilts will go to the NICU at Children’s Hospital. After instructions on how to proceed, the race was on! 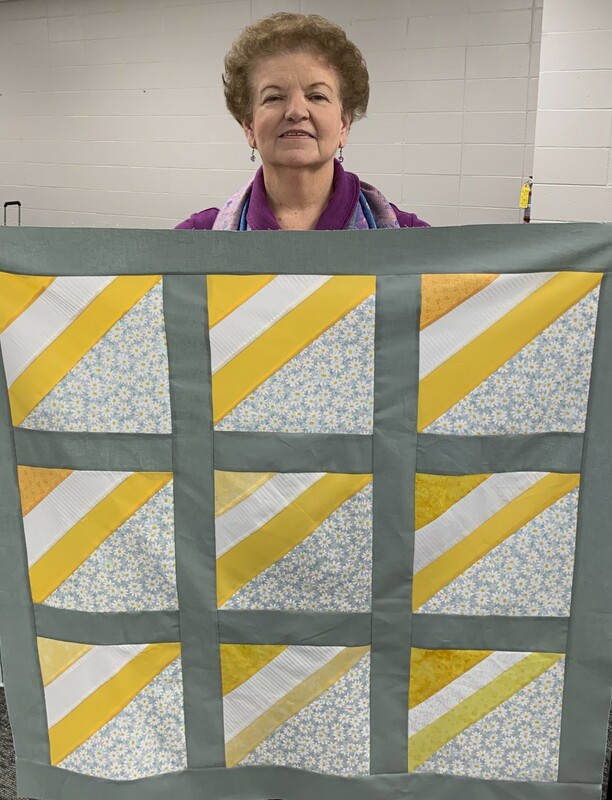 Susan won a spool of aurifil thread for being the first to finish a top! Debbie was second, finishing only three minutes after Susan! A very close race! Beverly has been busy recently! 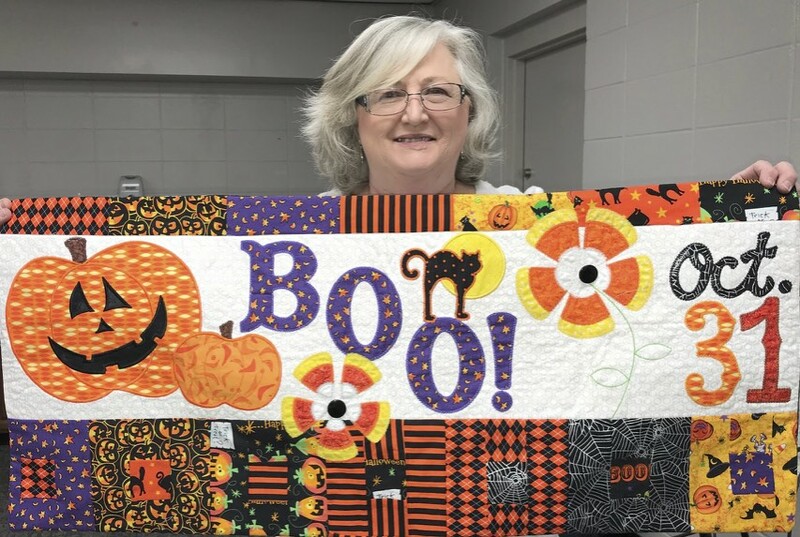 She shared a Halloween hanging, an Attic Window hanging, and a heart quilt for a cancer survivor. 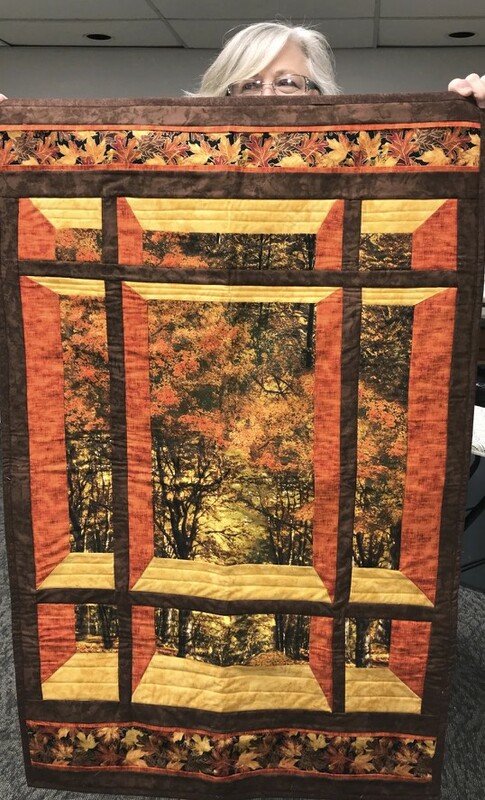 Debbie made a stunning string quilt using scraps from fabrics she has used in her quilts over the past five years. This is a fantastic way to preserve those memories. For upcoming program information, go to the “Meetings” tab and scroll down to “Programs”.